Will be an interesting time when the real sixth generation fighters will be unveiled, the sixth generation fighters seem to have abilities and technologies that far surpass older fighters. The gap between sixth and fifth generation fighters seems huge when comparing the gap between fifth and forth generation fighters. I am personally leaning towards not to have one... even if that plane would need a human intellect remote control is a possibility, but human presence would be more ofan obstacle than a supplement to the AI. Because of the g limits that would need to be imposed which otherwise the plane would be able to cross... today automation and artifical intelligence is on such a level that human in the loop is required only in certain specific cases and even then only in an overview role giving permission of reject a system to do this and that... so a fighter through a machine learning can be "taught" how to dogfight, do BVR, SEAD and so on... so in future the results of battles would depend on 2 things: hw performance limits and AI llearning curve... how quick and how well you can teach it to fight (thats usually the level of maturity of algorithms implemented in the AI). MOSCOW, March 2. /TASS/. Russia’s Sukhoi design bureau has presented the first blueprints for the sixth-generation fighter jet development, Deputy Prime Minister Dmitry Rogozin said on Wednesday. "I’m referring also to new design concepts briefly presented by the Sukhoi design bureau and by the general designer appointed for all aircraft systems and armaments," Rogozin told reporters after a meeting on the military aviation development. "They have really come up with the designs for the creation of the sixth-generation fighter." He also said that as of today the Russian aircraft building industry "is currently engaged in state testing of the fifth-generation fighter." According to Rogozin, it is necessary to look far ahead now in order to attain new quality of Russian aviation. In addition, to retain the positions it is necessary to rejuvenate the personnel, consolidate the industry, engage in its technical re-equipment and cooperate with all to the industry advantage. New radio-electronic technology and new armaments are the priorities, Rogozin said. Meanwhile, Commander of the Russian Aerospace Forces Viktor Bondarev told reporters on Wednesday that Russia's sixth-generation fighter is being developed in both manned and unmanned versions. "It (the plane) will be modified in both versions," Bondarev said, answering a TASS question. "If we stop, we will stop forever," the commander added. "Therefore, the work is going on - on the sixth and perhaps the seventh (generation) fighters." Bondarev declined to specify how long it may take to create the plane’s unmanned version but made it clear that it is a matter of the next few years. In 2014, Russia’s United Aircraft Corporation (UAC) said that the first such aircraft would be built in the second half of the 2020s. Now Russia tests the fifth-generation fighter - PAK FA (also known as T-50). It performed its maiden flight in 2010. The plane’s state tests are expected to be completed in 2016, and in 2017 its serial deliveries will begin. MOSCOW, 2 Mar – RIA Novosti. Russia is working on creation of a fighter of the seventh generation, said on Wednesday the commander of the aerospace defence forces Colonel-General Viktor Bondarev. Currently in service with the Russian armed forces are only the fighters of 4++ generation, on-going testing of the aircraft T-50 (project PAK FA) fifth generation. Only one country in the world is armed with fifth-generation fighter — U.S. F-22 and F-35. "If we stop now, then stop forever. (Go) work a sixth and probably a seventh (generation). To say much have no rights," — said Bondarev, responding to a question about the works on creation of the fighter of the sixth generation. For 6th generation they say ADVENT or pulse engines, possible integration of high power laser weapons, increased range and general kinetic performance, net-centricity and human systems integration and even better situational awareness compared to 5th gen.
A lot of peoples suggestions just look like 5.5+ gen designs. IMO, 6th gen aircraft will be Mach 3-4, but not quite hypersonic large missile trucks with big photonic radars. They will carry a payload of hypersonic scramjet missiles, that will use the aircraft's initial velocity to get the airflow necessary to fire the scamjet engines. This way the 6th gen fighter/interceptor itself doesn't need to deal with the complexities of hypersonic flight and fall back on proven technology, but can still utilize hypersonic missiles. Photonic radar will be here much much earlier (like 5 years from now) than 6 or 7 gen fighters. For 7th gen most likely we'll see: full blown quantum computers that controls flight and attack, with a human overseer to act as captain in a verbal command and control setting. Quantum based radar. 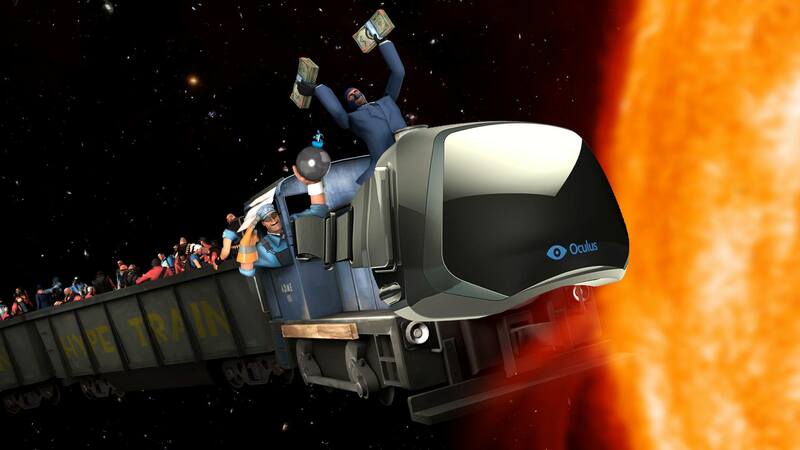 Quantum based communications. Pulse detonation engines with incredibly slow burning and extremely high energy fuel or even a miniaturized nuclear reactor which gives incredibly fuel efficient supercruise, and full-blown hypersonic after-burner. Matured plasma stealth technology. High-energy gamma radiation based lasers capable of destroying AAM's, enemy aircraft and soft skinned ground targets. Electro-magnetic field generator to deflect high energy lasers in combat. Integrated electro-magnetic gun to destroy hardened targets, with variable barrel diameter and ammunition 3-D printed from internally placed blocks of material. Deployable defense drones with offensive capability during WVR. that will use the aircraft's initial velocity to get the airflow necessary to fire the scamjet engines. Ramjets can work at very low speeds... there were tests during WWII in the Soviet Union of two ramjets fitted under the lower wings of an I-15 biplane... the added thrust increased the aircrafts top speed by about 55km/h. The most interesting way forward is to use variable cycle engines so you can have a turbojet engine to get airborne but in high speed high altitude flight the air can be routed around the turbine blades through a bypass flow where fuel is added and the engine basically operates as a ramjet.If it is designed to burn fuel in a supersonic air flow the engine could be used from a still start on a runway up to orbital speeds. MOSCOW, June 9. /TASS/. Russian combat aircraft of the sixth generation will be hypersonic, its prototype will make its first flight until 2025, said on Thursday TASS the head of the Directorate of military aviation programs of the United aircraft Corporation (UAC), Vladimir Mikhailov. MOSCOW, June 9th. / TASS /. Russian combat aircraft will be the sixth generation of hypersonic, his prototype made its first flight until 2025, he told Tass on Thursday the head of the directorate of military aircraft of the United Aircraft Corporation (UAC) Vladimir Mikhailov programs. "Experienced sixth generation aircraft made its first flight pattern before 2025 it will rise into the air, as we plan, no later than two -. Three years after the 2020 th", - said the source. Mikhailov, who previously held the post of commander in chief of the Russian Air Force, said that the appearance of long-term aircraft is already defined. "It will be a hypersonic at several Makhov, Single, invisible to the enemy, super-maneuverable, multifunctional, made of composite materials. The aircraft will have a booth, but he will be able to fly as a pilot in it, and without it, that is, he he will combine and manned and unmanned variant ", - said the representative of the KLA, noting that the development is planned to equip long-range hypersonic missiles. According to Mikhailov, the sixth-generation aircraft have conducted research projects, including engineering design. In early March the commander of aerospace forces of Russia Viktor Bondarev said that work is underway over the manned and unmanned versions of the sixth-generation aircraft in Russia. He did not specify how many years you may need to create an unmanned aircraft, but made it clear that it is not the next few years. At the same time Deputy Prime Minister of Russia Dmitry Rogozin said that the Sukhoi Design Bureau presented the first design for the sixth-generation fighter. In 2014, the KLA stated that the first such aircraft will be built in the second half of the 2020s. Mikhailov is talking about a 6th generation fighter to replace PAK FA, so no, this is not MiG-41. Are you sure? I would not be surprised if Russian would skip a generation of the "Istrebitel perechvatchik" to make Mig-41 truly into a hypersonic plane. At this stage they have enough expertise to do so... and today with (sadly) weaponization of space they will need a plane that can go very high, very fast and very far... i feel that the new Mig-41 will have an additional roles to the existing Mig-31 roles. And these roles will be space related... like launching LEO microsatellites and shooting down american satellites. Americans currently have a project regarding low cost capability to quickly launch small payload satellites. This plane would be the perfect weapon to introduce such capability domestically and threaten the opposing force capability at the same time. Being able to quickly relocate to any friendly nation upon request and cut short american planning to "spread democracy". Nudol will be a good weapon but more oriented towards domestic defense - but if you want to conquer a specific frontier you have to "put boots to that frontier" and Mig-41 would be the perfect entry candidate for a near space vehicle. And beside we know perfectly well that a generation leap in fighter game history already happened. F-15 and F-16 were exactly those planes when america skipped the time and effort to develop a MIG-23 equivalent and instead opted for taking a risk and make a one generation ahead technology planes. I see no reason why Russians cant do the same. True there will be some risk involved but how long the Russians have been developing hypersonic propulsion? Airbreathing engines? 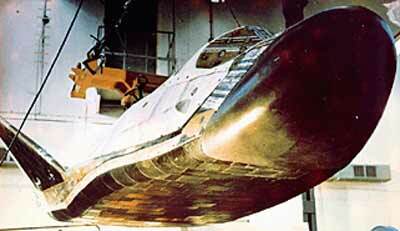 The first successful flight test of a Scramjet was performed by Russia in 1991. more than 20 years ago! With current economic situation this might be a big risk to undertake now but prijects like these are planned for atleast a decade ahead and the economic situation then might be totally differrent. So i would not be surprised to see them skipping a generation - in fact it would be quite logical step. Wonder will that future 6th gen also fulfil the role of MiG-25/31/41 ? Considering the described properties it is also a suitable interceptor. Very good interview with Владимир Михеев, CEO of КРЭТ on the conceptual design and technological pact to the next generation aircraft. Interesting the position on the necessity of an unmanned vehicle not only for the hypersonic speed, very high G manoeuvrability and exoatmospheric flight requirements ,but also for the integration of HF microwave weapons with MW output for which wouldn't be possible to provide to an human pilot the necessary shielding. Interesting the position on the necessity of an unmanned vehicle not only for the hypersonic speed, very high G maeuvrabilioty and exoatmospheric flight requirements ,but also for the integration of HF microwave weapons with MW output aginst which wouldn't be possible to provide to an human pilot the necessary shielding. So what about stealth? Isn't Russia working on new stealth tech? Here in the US,Lockheed & Boeing are working on next gen stealth for the 6th gen fighter. 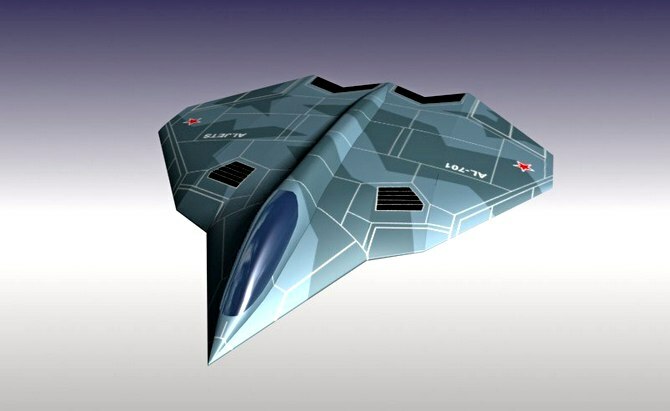 RTN wrote: Isn't Russia working on new stealth tech? Here in the US,Lockheed & Boeing are working on next gen stealth for the 6th gen fighter. Obviously not; in the US the technical requirements and the main CONOPs for the next generation airborne offensive vehicles ,capable to confront on equal term modern air space defense systems, follow exactly this same pact. Just over the ocean the works and R&D efforts on ULO vehicles has been widely demoted or even frozen in the latest years and theirs funds strongly concentrated just in hypersonic exoatmospheric projects in reason of the rapid emergence on the horizon (much earlier than what expected) of quantum processing units and radiophotonic systems. For this second area it will be also necessary in the US a very very urgent impulse....in particular among some Institutes in the West Coast....to don't risk the total obsolescence not only under a mere technical basis,but also of the elements around which turn around the same doctrinal structure of USAF and US Navy. anybody knows what has happened with previous 6th gen fighter thread ? Russia has created a combined jet-rocket engine to fly in the atmosphere and in near space, said TASS , the commander of the strategic Missile forces Sergei Karakayev. The powerplant will show on the forum "Army 2016". - In the Serpukhov branch of the Academy of strategic missile forces named after Peter the Great designed the engine for advanced aerospace aircraft. The combined power plant has two modes of operation: air for flight in the atmosphere and rocket to near space, - said Karakayev. According to the commander, a model of the new engine was test firing confirmed its efficiency and will be presented at a military forum in Kubinka. Earlier, Deputy Prime Minister Dmitry Rogozin announced the beginning of work on combat aircraft of the sixth generation. One of its main features is the ability to fly in near space at hypersonic speeds. The aircraft is being developed in manned and unmanned variants. Robotic fighter will be equipped with a powerful electromagnetic weapon to incapacitate electronic systems of the enemy. Some elements of the avionics of the aircraft of the future are already run-in on the fifth generation fighter PAK FA. His successor will make the first flight early next decade. In the unmanned version of the Russian fighter of the sixth generation will receive electromagnetic guns that can completely disable enemy electronics, reported TASS the representative of the Advisor to the first Deputy head of the concern "Radioelectronic technologies" Vladimir Mikheev. Effective microwave weapons, according to him, already exists and is capable of hitting targets at distances of tens of kilometers. - The sixth generation fighters - this will be aircraft that combines supersonic speed flight, low visibility, high security, artificial intelligence for group work and the most modern weapons - including electromagnetic, - said Mikheev. Microwave weapons forms a directional electromagnetic pulse that's capable of long distance incapacitate a complex electronic device - for example, radar or missile guidance system. Existing now in Russia railguns can disable the enemy electronics for a while. The development of this technology will lead to the fact that the effect of microwave weapons will destroy the circuitry of the target, i.e., withdraw it from the system. The use of microwave weapons on manned technique is problematic - a powerful electromagnetic pulse can easily kill the pilot. Therefore, these guns will arm an unmanned version of the fighter. Working on combat aircraft of the sixth generation is already underway. In particular, it, electronics are processed on the fifth generation aircraft T-50 (PAK FA). "Aircraft of the sixth generation will receive a unified electronic warfare system, in which one and the same instrument and radar and electronic warfare, and data transfer system, performing also the functions of navigation and hoopsnake. Radar, the PAK FA could also work for intelligence and electronic warfare, and electronic warfare system, in turn, is radar. That is, the integration and redistribution of functions already happening," - said Mikheyev. According to the head of the Directorate of military aviation programs of the United aircraft Corporation Vladimir Mikhailov, the Russian fighter of the future will rise into the air at the beginning of the next decade. It will be a single, invisible to the enemy aircraft made of composite materials, capable of flying at speeds of several Mach and armed with hypersonic missiles. Being developed in parallel manned and unmanned variants. All these, on both sides of the Atlantic, are vapourware. They're non binding studies, tentative plans and so on. Who know when exactly we might see hypersonic airplanes on either side used in numbers. It could literally be decades away. 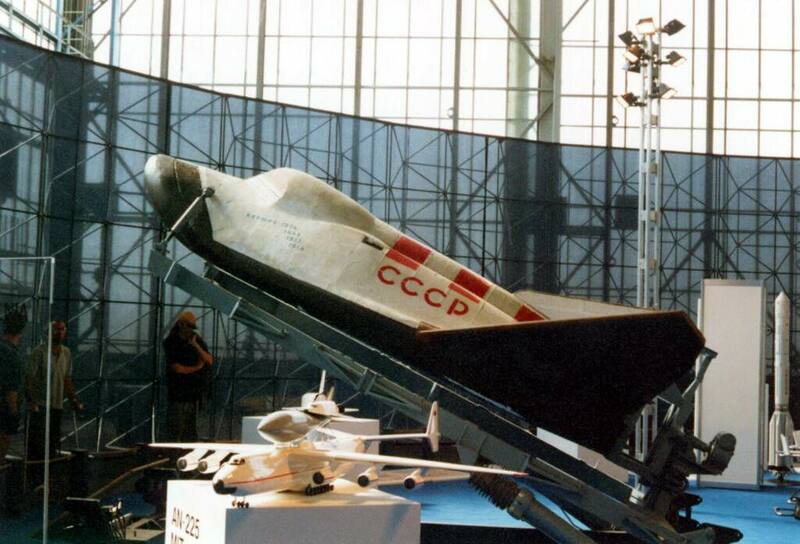 Don't forget about the BOR-4 lifting body sub-scale vehicle developed to test thermal protection technologies for the Buran shuttle. As far as I am concerned, the Pak Fa is a 5.5 gen fighter.